It makes total sense that this is true. Nurses, especially in the hospital setting, are with the patient around-the-clock. When the patient wakes up, guess who they see? The nurse. When they are tucked into bed at night, who’s the last one to lay eyes on them? The nurse. Nurses spend more time than any other healthcare professional with the patient. Today’s healthcare environment, which is focused on how reimbursement occurs and what amount will get paid, creates pressure to focus on satisfying patients. Things like Press Ganey, HCAHPS, and other patient survey systems are given time on hospital agendas and are the focus of organizational budgets. As a nurse, we hear these terms so often that, at times, these surveys can make us frustrated beyond belief. Isn’t it important, if not more important, to make the nurse happy? 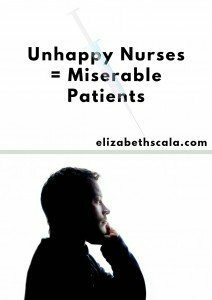 Doesn’t an engaged nurse who is satisfied with the workplace and happy at his/her job work better with patients? Common laws of physics would certainly say so. If you throw a stone into a still pond, what happens? That’s right. The water ripples out. There is also a ripple effect when it comes to human-to-human interaction. Think about it this way. If you had a bad day and you come home from work in a nasty mood, what are the chances you are going to talk in a king and loving manner to your partner or spouse if you find the dinner dishes have not been done and all of the children are still watching television at 10 pm at night? I’d guess that you’d have a few choice words and your tone would be less than kind. No matter how much we try to leave work at work… if we are in one mood when we come home, we’re going to bring that mood to the new environment we’ve just entered. So the same goes for us as nurses in the workplace. Sure, we’re there for the patient. And we want to provide the best care that we can. But what happens if you go into the supply room to find no IV tubing available, again? What kind of tone of voice will you use if you’ve just been told by the charge nurse that, due to short staffing, you cannot go home on time, again? What kind of presence or attention can you give to your patient if you are consumed by the disappointing news you just received in your professional practice meeting? Even a healthy and happy nurse, who spends time on their own self-care on a routine basis, will struggle if the employer does not support them. On this blog, I often post articles about the nurses’ role in accountability. And while I do continue to believe this to be the case, there is a relationship among many that goes into a nurse’s happiness. It comes from the nurse themselves, the colleagues and peers, the supervisor and management, executive level leadership, and the organization as a whole. It’s up to ALL of these people to make, not only the patient, but the nurse happy. Happy employees definitely make for happy hospitals. Be Present with The Nurse. So, this tip goes for whomever is in contact with the clinical nurse as much as it goes for the clinical nurse at the bedside with the patient. Today’s world is go-go-go. We are all in a rush. I actually heard a podcast the other day that was an interesting take on the healthcare experience, as a patient. This person talking said that in a recent hospital visit, they were shocked by the amount of times they were almost completely run over in the hospital hallways. Think about it. We get to work, throw our heads down, and rush to our workplace. We’ve got our ‘usual’ path and everyone in our way better move on out of it! Coupled with this rushed behavior, we have information overload which makes it difficult, if not impossible to be present with anyone. 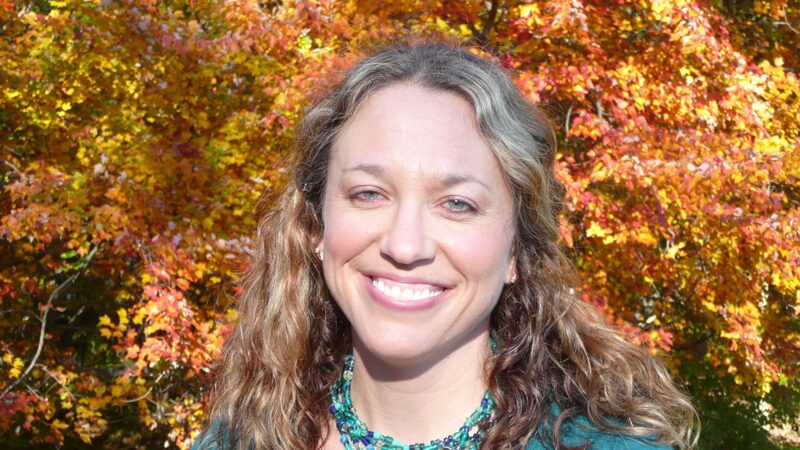 So, the first tip is to partake in a mindfulness practice outside of the healthcare workplace. This way, when you are involved in the busyness of your day, you can tap into these behaviors and be more present with your staff. Really listen to what people are saying. Ask questions. Hear more than you speak. Be fully present with the person in front of you. Get to Know The People. Each nurse, each patient, each person is a unique being. So whoever you are reading this article (e.g. a nursing administrator, a hospital executive, a patient or family member), get to know the people in your workplace. It goes along with tip number one above. When you ask someone a question, and listen to their response, take note of what you hear. Talk with people… not only about work… but make time for other things as well. Experience your staff both at work and, if applicable, outside of the workplace. Learn about their unique strengths. Discover their passions and creativity. Allow each person working at your organization to be their best self. Create Collective Vision. Many times strategic plans, vision statements, and other organizational documents are created for the staff by some executive level administrators. Why not get everyone involved with this type of work? Recently, I attended a workshop where I learned about a new concept. It was called ‘design thinking‘. This process is all about brainstorming and inviting everyone to the table to create and come up with new ideas. Rather than ‘tell’ your nursing staff what to do, invite them to the discussion. People are much more likely to engage in the workplace when they’ve had a chance to dialogue and provide input. 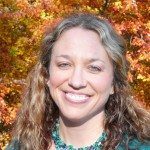 And one more thing before we close… I did find this post on allnurses.com, which offers another perspective. The article discusses nursing leadership and how often they are in the most difficult position of all. Think about it- a nurse leader is still a nurse, right? They went to nursing school. They worked as a nurse before moving up the clinical ladder. They probably shared many similar experiences as you and me. And now the nurse executive finds them in this catch-22 type role. They have budgets to manage, people to oversee, and staff to keep happy. As the post on allnurses points out, I’m sure that the nursing executive leaves the workplace at times feel disgruntled and frustrated themselves. They’re doing the best often with what they themselves have got. What we can do, if we are not in nursing leadership, is in addition to the tips above… thank them. Appreciate all that they do for the organization. Help them by coming up with solutions. Invite them to conversation with you… and hopefully, if they’ve been reading the tips above… they’re open to hearing your creative answers! Let’s hear from you. What is missing here? How would you help nurses be happy? What would you do to make a happier workplace? How can you, in your role, improve the patient experience? Really appreciate you bringing this perspective forward, Elizabeth. I agree that as a nurse there is a lot we can do personally, but the environment, (structural as well as the human beings we interact with) that contribute to this. My current focus is on bridging this gap, increasing the focus on employee health and wellness, including the C-Suite, so we are in the best position to assist each other care for the patient and their family. I am just entering the blog world and am finding my own voice here. 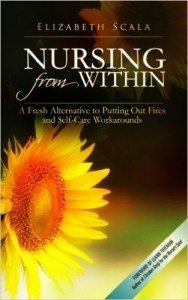 Being Present, Getting to know people and Creating a collective vision are all skills that when developed increase connection inside and outside the nurse and the group with whom they work. I see this as a model for operating in the world and the workplace is a good place to practice. 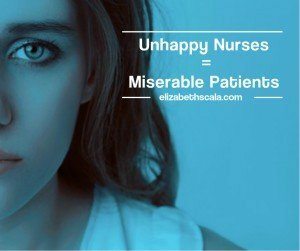 Thank you Elizabeth for these tips and the connection to allnurses.com. And Jackie, yes a smile is so refreshing and disarming for the giver and the receiver. Good reminder. What is the C-Suite? Hi Padma. Sorry about using a slang. C-Suite is a short cut for all the executives and officers with Chief in front of their title: Chief Executive Officer (CEO); Chief Nursing Officer (CNO) etc. C-Suite, because this group of leaders are often located in a separate hallway, wing or “suite”. Why this was so fresh in my mind was that just the other day I was Mindfulness and Communication modules in our TeamStepps program (Team strategies to enhance performance and patient safety) and someone mentioned how the often the CEO and others on that hallway rarely smile. I, too, am finding my voice and love the interaction and the support here and elsewhere online! Good to see you here, Padma. Thank you for reading and taking the time to share your comments. Getting to know people is another wonderful way to decrease the stress in the workplace. This is a great addition, Jackie! A smile goes a LONG way. Thanks for adding this to the list! I would also add a plug for nurse educators. Happy nurse educators have happier students and happier students are easier for staff nurses/preceptors to work with. And, happier nursing students give better patient care! Win! Win! Great points, Julia. Thank you for coming by, reading the post, and taking time to comment. Enjoy the day. I thoroughly enjoyed this piece. Coming from a management background in customer service, I was always taught, “Happy employees means happy customers”. Going into nursing, the mentality is completely different. I have also noticed that a lot of companies are starting to promote customer service in their hospitals and I am thrilled!! Wonderful to hear, Sam. I am glad that you are seeing the benefit of this. And have also experienced it in other lines of work. It can only help our patients and their families even more!! Thanks for sharing your comment. Much appreciated. Great post Elizabeth. What an important topic! We come in contact with so many people throughout the day and even the slightest kindness goes a long way. On the other hand being hurried, distracted or just plain rude can leave a huge wake. We’re all connected and no where is this as true as when someone is feeling vulnerable as in the health care world. Wow, great point! The family also can be a source of influence. Thanks for bringing this to the discussion. I am glad that you enjoyed the post and appreciate you sharing from your experience. Thank you! may i translate this article to Indonesian and share to my friend in my facebook pages? I am so glad that you enjoyed the article. Thank you for the feedback. Yes, you may translate the article into Indonesian and share on your Facebook page- as long as you cite the website so that others can access it (www.elizabethscala.com). Thanks for asking!